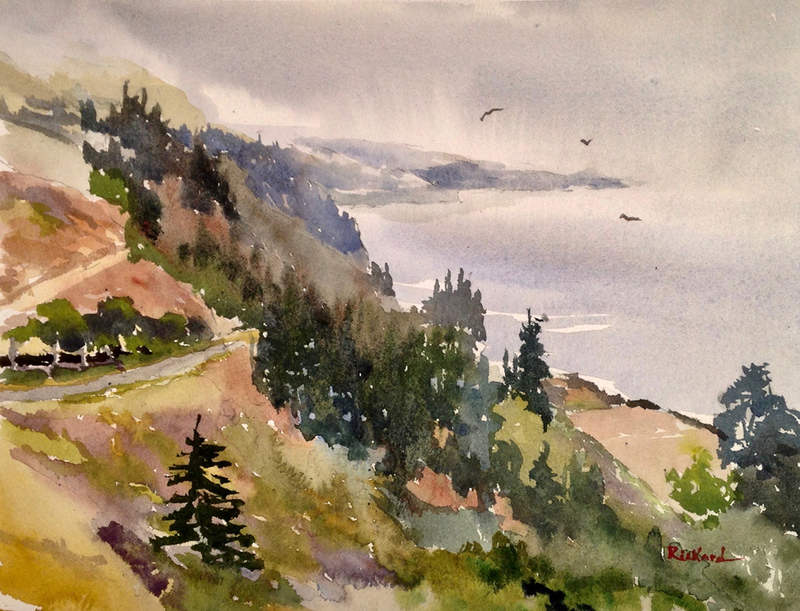 Join watercolorist Paul Rickard for a three-day immersion into classical watercolor techniques. Through artist’s demonstrations and hands-on application you’ll learn methods of composition, building a neutral value map, and the three stage wet-into-wet and wet-into-dry process. This workshop will feature classic locations of Big Sur and the Monterey Peninsula. Our location choices will make the most of the light, the weather, and the diversity of available subjects. If you are ready to take your watercolor skills to a new level, or you’re just beginning in the medium, this will be an inspirational and informative experience. A lover of California and the Great Northwest, Paul Rickard is an artist and songwriter from Humboldt County, California. 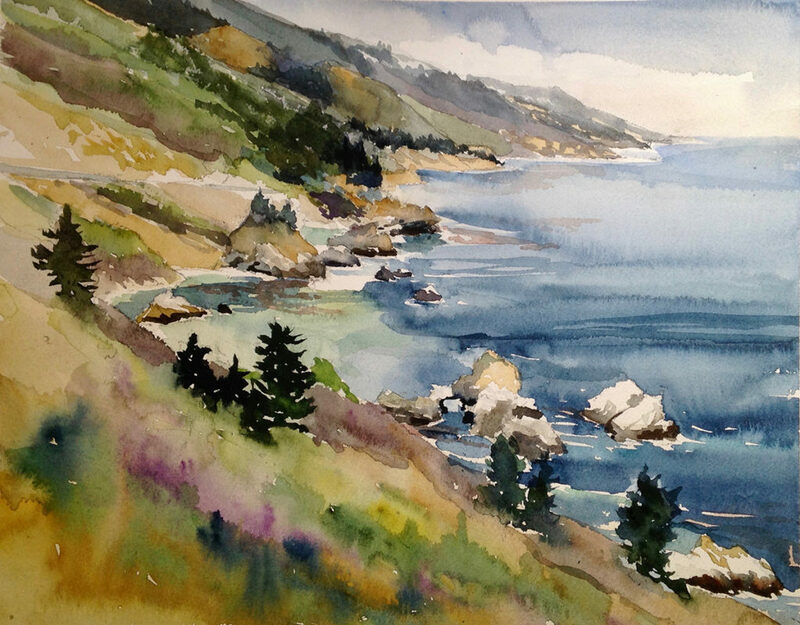 His songs, original watercolor paintings, and sculptures draw from the natural beauty of the windswept, marine landscape. Rickard studied art briefly in New Zealand and wood sculpture in Indonesia, graduated from UC Berkeley, and served in the Peace Corps with his wife Nancy. Rickard is a career educator and currently serves on the faculty of Humboldt State University. His work is shown at the Morris Graves Museum in Eureka. He lives with his family on a hand-built homestead top of Fickle Hill in Arcata, California with wife Nancy and his yellow lab, Daisy. Paul and Nancy’s children are Heather, Hazel, and Oliver.